Can You Be a Surgeon and an Engineer? The blending of surgery and engineering isn’t unheard of, although rare. But it’s clear that engineers and surgeons are working together to make miraculous progress in the field of medicine. These advances are making surgeries shorter with less risk to patients. Electronic surgical gloves and finger sleeves. If you are interested in becoming a medical engineer, you’ll also find information on that fast-growing career. Becoming a surgeon and an engineer so that they blend into a single career is an interesting proposition. The advantages seem clear, but the concept isn’t straightforward. 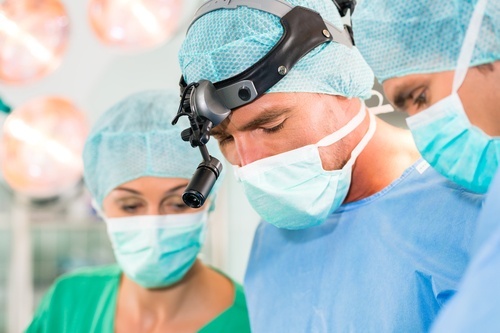 Being a surgeon can enhance medical engineering research and surgical advances. The critical thinking and problem solving skills of an engineer are similar to those needed by a surgeon. Although years of education are required to secure both degrees, the knowledge of one can complement the knowledge of the other. I’m aware of one doctor who holds a degree in electrical engineering as well as in otolaryngology, neurological surgery and urologic surgery. If you have ever considered a dual title such as medical-surgical engineering, you’ll have to know as much about medicine and medical practice as you will about electronics, biomedical technology and chemical engineering. When surgeons and engineers work cooperatively, yet independently, here is a snapshot of what they’ve been able to accomplish. What they are: Although stretchable electronics can be used in a variety of industries, in the medical industry they perform like adhesive bandages. They can bend, stretch and otherwise mold themselves around multiple surfaces. The sensors embedded in them can send data from the human body back to the surgeon or other healthcare professional. The initial challenge: To develop “stretchy electronics” so a single surgical instrument could be used in open heart surgery instead of three, reducing the risk to the patient. During open-heart surgery, surgeons often have to utilize multiple balloon catheters with different functions. Because they all have to be inserted sequentially, surgeries are long, complicated and sometimes painful. The longer the surgery, the higher the risk to the patient. Currently three different devices have to be used. The first maps the heart’s signals so the problem area can be identified. The second one controls the positions of therapeutic actuators and their contact with the epicardium. The third is used to burn away damaged tissue. The initial solution: Development of a multifunctional balloon catheter that stretches up to 300%, inflating or deflating as needed in the surgical procedure. It operates reliably without any changes in properties. Delivery of high-quality information such as temperature and blood flow to surgeons in real time. Performs corrections on heart tissue during surgery through the use of radio signals to heat and kill cells. Quickly diagnoses and treats the causes of irregular heartbeats. Biodegradable implants to monitor cranial pressure and temperature. Collection of bodily fluids to monitor electrolytes and glucose levels. Monitor the risk of asthma attacks in the lungs. Monitor the stretch and flow of bladder functions. Real-time mapping of electrical activity in the brain during epileptic seizures. What they are: Similar to stretchable electronics, semiconductors embedded in soft, flexible surgical gloves allow cardiac surgeons to feel everything they do with their fingertips. The initial challenge: Reduce the size of current technology, which is large and bulky. There was a need for a simple technology that could measure the stress and strains during surgery through the fingertip(s). With electrotactile simulation surgeons could monitor and detect medical information from the skin. 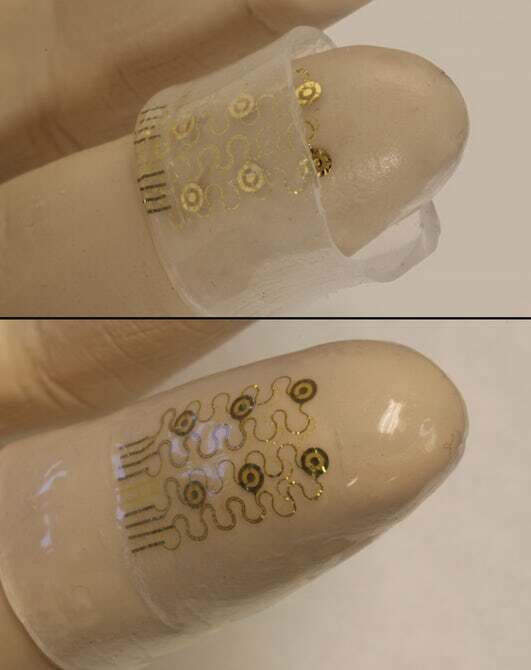 The initial solution: Integration of ultra-thin and stretchable silicon-based electronics and sensors with artificial skin that can be slipped on hands or fingertips. Performs ultrasound imaging of tissue upon touch. Performs surgery by heat-induced local ablation. Precisely removes tissue using local ablation. Relays information such as temperature, conductivity, etc. to the skin. Senses the electrical properties of tissue. Application of sensors to flexible surfaces to provide a sense of touch to prosthetic limbs. Softer robotic interactions with surroundings. Wrapping the surface of the heart with sensors to diagnose and treat cardiac arrhythmia. What it is: Minimally invasive, needlescopic surgery uses instruments with a diameter 10,000 times thinner than a strand of hair. The incisions can be sealed with surgical tape. Scars are small if they exist at all. The initial challenge: Reduce the invasiveness of surgeries through the use of needle-sized instruments that current robotic technologies can’t accomplish. The initial solution: Provide needlescopic surgical instruments that possess more dexterity, thereby broadening potential applications. Minimally invasive surgeries in small areas such as the ears, nose and throat. Currently very few surgeons in the world use needlescopic surgery. As more surgeons incorporate it into their practices, future adaptations can be better identified. What it is: Robotic surgery is another type of minimally invasive surgery. 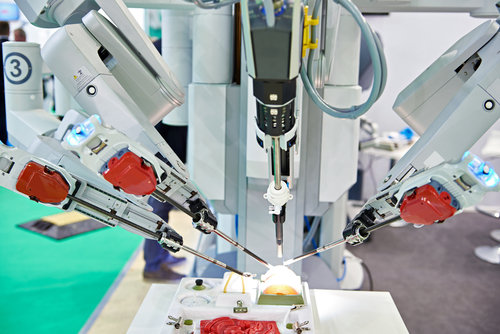 Through the use of miniaturized surgical instruments mounted on one of four robotic arms, it allows surgeons a maximum range of motion and precision. The initial challenge: Provide surgeons a way to perform complex procedures with more precision, flexibility and control than is possible with conventional techniques. The initial solution: The creation of a robotic surgical system controlled by surgeons at a computer console near the operating table. The two most well-known systems are the da Vinci and Zeus. Fewer complications, such as surgical site infection. Greater flexibility and precision during surgery. Perform surgeries previously too high risk with current techniques. Expanded opportunities for teaching and assessment of new surgeons. Integration of new and current technologies used in surgical procedures. Long-distance intraoperative consultation or guidance. Preoperative and intraoperative video image fusion to better guide surgeons in dissection and identifying pathology. Rehearsal of complex procedures before performing them on patients. Blending engineering and surgery into one role is possible, but takes many, many years of schooling. As an alternative, if you want to work in medicine with an engineering degree, you may be interested in becoming a Medical Engineer. Medical engineers apply engineering principles from technical sources to solve clinical problems. As you have read in this article, they have created medical products that combine anatomy and physiology with technology. The result is higher quality healthcare for surgical patients. Future research shows similar advances in all areas of medicine. As a medical engineer, you can go in any number of directions. Research, development and quality assurance represent only three areas. The development and evaluation of medical devices is another. 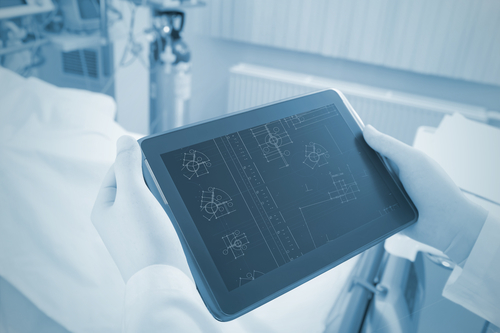 You can help hospitals and medical clinics with the latest purchases in biomedical technology by evaluating their needs against what’s available. You can also specialize in nanotechnology, stem cell research, or other areas of cutting-edge medicine. The avenues that combine healthcare with electronics are expanding all the time. To be successful in the field of medical engineering, you must be able to give attention to detail, creatively solve problems, and apply analytical thinking. Because you’ll be working with others, you must be able to easily integrate yourself into a team by expressing ideas and listening to others. More often than not you will have to be a leader. To enter this field you must obtain a bachelor’s degree in engineering, physics or related program. You will need to go on to graduate with a master’s or Ph.D. in medical engineering. Would you like to start learning surgical skills today? You can! Would you like to develop the skills used by a surgeon or medical engineer? There’s no need to wait until you get into a post-secondary or graduate program. You can begin right now. The Apprentice Doctor® Suturing Course and Kit is a resource that will teach you how to suture wounds in a couple of hours! If you think may be drawn to direct-patient care, why not perfect suturing techniques now? How to Become a Medical Doctor in the United States. How to Become a Cardiothoracic Surgeon. Kim D.-H. et al. Nature Materials advance online publication doi:10.1038/NMAT2971 (2011). Borghino, D. Electronic Fingertips could lead to smart surgical gloves (2014). Robotic Surgery Center. What is Robotic Surgery? Anthony R. Lanfranco, BAS, Andres E. Castellanos, MD, Jaydev P. Desai, PhD, and William C. Meyers, MD Robotic Surgery, A Current Perspective.